The company is conducting a launch event in New Delhi that is scheduled to begin at 12:00 am. Nokia recently launched the Nokia 7.1 at a global event. 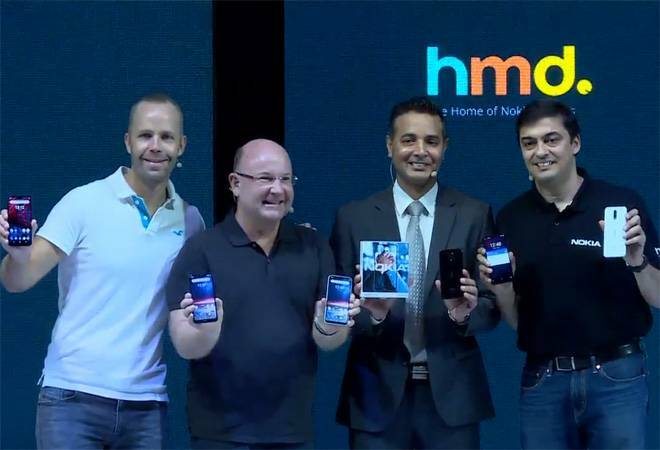 HMD Global is expected to launch a new phone in India today. The company is conducting a launch event in New Delhi that is scheduled to begin at 12:00 am. Nokia recently launched the Nokia 7.1 at a global event. The company could launch the phone in India. However, it has a similar offering in the form of Nokia 6.1 Plus which sports the same chipset. The Nokia 7.1 Plus could be another smartphone that could be launched at the event. The device was launched in China as Nokia X7 but will be called Nokia 7.1 Plus, if launched in India. The device comes with a bigger 6.1-inch screen and a relatively substantial chin. In terms of design, the phone follows Nokia's glass sandwich design which is still a rarity in the mid-range segment. One of the biggest difference is the Qualcomm Snapdragon 710 chipset. The Nokia X7 or 7.1 Plus is one of the first smartphones to carry Qualcomm's Snapdragon 700-series chipset. Similar to the Nokia 6.1 Plus and Nokia 5.1 Plus the Nokia 7.1 Plus will be powered by Android One. In terms of camera, there's an upgrade in the form of Zeiss optics. The primary camera setup comprises one 12MP sensor with f/1.9 aperture and the other lens is a 13MP sensor. The front camera is a 20MP unit. We are not sure if Nokia will be launching the new Nokia 7.1 Plus or it has something entirely new in store for us. Stay tuned to BusinessToday.In for further updates on the event. One can track the updates from Nokia India's official Facebook page.